There’s something seriously awry with my promo download of the album. The tracks won’t play any audio, and instead flit by as if scrolling, searching through a menu on fast-forward. It’s a disorientating experience, and frustrating. But my curiosity I piqued, and so I feel compelled to piece together a review from the sources I can access, starting with the album’s BandCamp page on the label website. The genesis and evolution of this collaborate project is described in the most factual of terms in the accompanying blurb. To start AMT and Tarab exchanged materials and objects. AMT exchanged a single sound sculpture for Tarab’s collection of small objects. This material exchange led to activity. AMT manually manipulated, Tarab also, but more often than not he placed the sculpture in situations and let them work on it. Once again exchanges took place, this time of audio material. Elements where then selected and arranged and further rearranged; some left untouched and some where [sic] transformed. I know little about either act, beyond the sketchy bios which accompany the release. 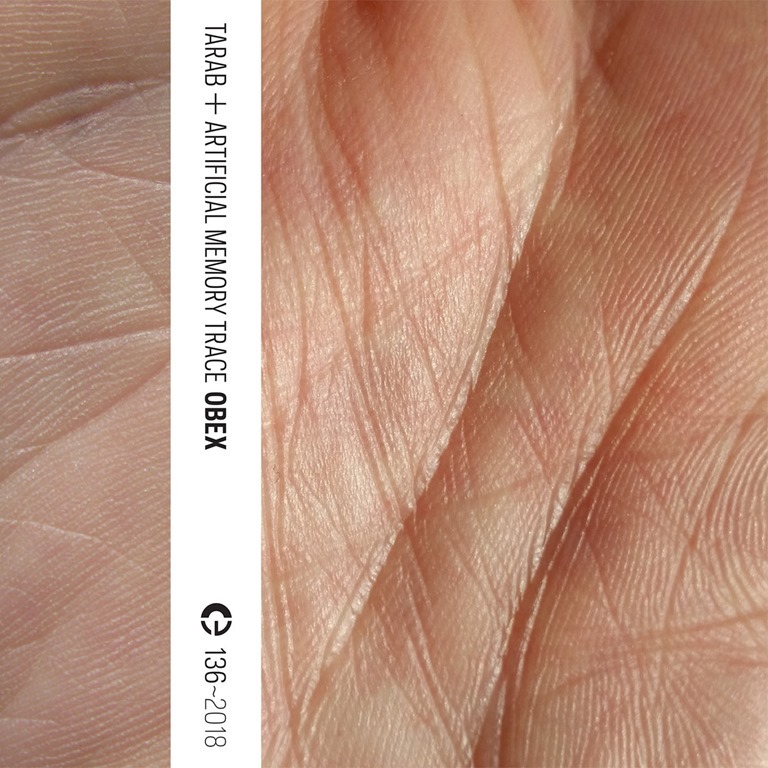 On the evidence of the contents of this curious split album, Artificial Memory Trace – a project by Slavek Kwi, a sound-artist, composer and researcher interested in the phenomena of perception as the fundamental determinant of relations with reality – create fragments of sound, with seemingly random bumps and scrapes and whistles and near-mic distortions and whatever snippets come to hand tossed together to make bumpy, jumpy sonic rides. Very brief, bumpy, jumpy sonic rides at that: the seven AMT contributions to this release are under the minute mark, but what they lack in duration is countered by their intensity. They don’t make for easy or smooth listening. Tarab’s seven pieces are lengthier and present a very different approach to composition and arrangement. Scuffling shuffling scrapes and thumps congeal to render soundscapes that couldn’t possibly sit within the ‘ambient’ bracket. It’s altogether too jarring, the intrusions unexpected and sometimes surprising. You can’t settle to this, you can’t mellow out or relax. If fact, this is a sonic experience that provokes twitchy, tetchy reactions. It’s not music to ‘like’ but to appreciate artistically. Its challenge is its strength. None of this is to pitch one act against the other as being more ‘evolved’: if anything, their contrasting styles and near-duality is integral to the appreciation of this release. How seriously should it be taken? Probably quite seriously. Nothing about Obex intimates an explicitly light-hearted release, an album geared towards ‘fun’. And yet amidst the dark, ponderous clanks and rumbles, something about Obex suggests an entertaining aspect, and also hints that this is art for the love of art over and above any grander narrative. And, context / no context, this is an interesting, textured work, rich in texture and dynamics.